​​serving East Sussex and surrounding areas. Thirlwell Carpets & Flooring is a friendly business with over 40 years of combined experience in the flooring trade. 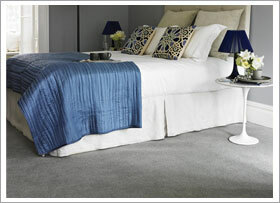 We provide both domestic and commercial customers looking for quality carpets and floor coverings. We have a wide and loyal customer base and are able to offer site visits to discuss all your needs and free, no-obligation quotations with samples and our advice if needed. We provide a wide range of carpets and vinyl as well as laminate and real wood floor coverings from all the leading manufacturers. Customer service is very important to us, we have a good reputation and we’re proud to have recommendations and long term relationships with many of our clients. To make the whole process easier for our customers we are not just a supply only company. We offer a complete fitting service, with experienced fully trained fitters capable of installing floor coverings quickly, professionally and with a minimum of mess or fuss. We can also include the removal and replacement of most furniture items. For help and information visit us in our showrooms where we can give you professional advice, which should make choosing your floor covering easier. We have hundreds of different styles and colours of carpet to choose from including a wide variety of stock items which we can offer at very affordable prices. The next step is to arrange a site visit where we can come and measure the area, we will then email or post you a free, no obligation quotation. Customer service is very important to us, we have built up a good reputation in the local area and we’re proud to have long term relationships with many of our customers. We're confident that when you've used us once for your carpet installation you will never go anywhere else! We're pleased to have many happy customers click below to view a gallery of some of our recent work. 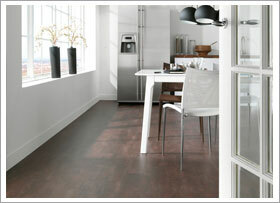 As well as Carpets we also have a great selection of Vinyl, Laminate and Luxury vinyl tiles. These are perfect for bathrooms, kitchens and conservatories. click below to view a gallery of some of our popular products to help inspire you. Here at Thirlwell Carpets & Flooring we pride ourselves on the quality of our workmanship, treating each home we visit as if it were our own. 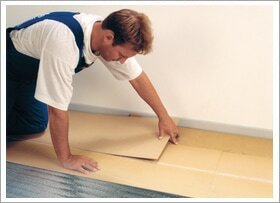 We offer a full measuring and estimating service which provides you with a clear understanding.